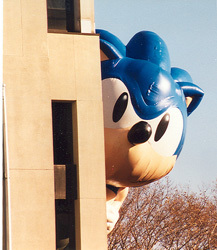 Earlier this week, a new image (above) began floating around of the 1990 Tokyo Toy Show build of Sonic The Hedgehog. The image comes by way of the August 1990 issue of Japanese magazine MegaDrive Fan. As with any Sonic 1 prototype finding, a certain buzz flies around of “Is it real or is it a hoax?” Thanks to forum user JumpingRyle, we can fully confirm the authenticity of the shots from a full page scan of the magazine in question. 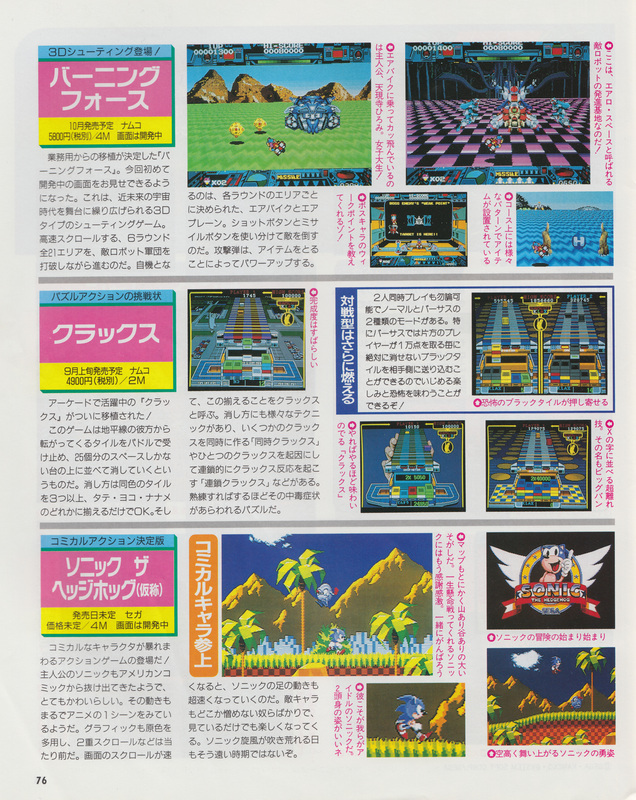 Sitting alongside Burning Force and KLAX, these shots give us the clearest look of the earliest known build of Sonic 1, which featured a different aesthetic and seven layers of parallax scrolling according to the game’s programmer Yuji Naka. 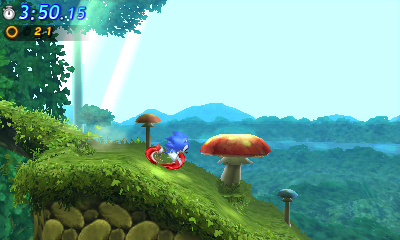 The game is described by MegaDrive Fan as a game of “Cute and comical characters that run around! ?” This is a new scan than one we’ve previously featured before. It’s probably in the hands of a private collector, with no intention of dumping the ROM. I’ve seen that purple monster before! In the Sonic Jam artwork section. Holy crap you’re right, it totally looks like that character from the Sonic 1 concept art with Bee-Eggman and Madonna!